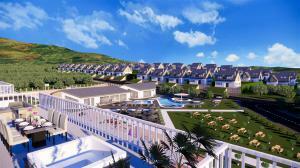 Šírava Park is located in East Slovakia most desirable location, creating spectacular water estate community. The Šírava Park regards every piece of real estate – from a masterplan community down to an individual homesite – as a valuable asset held in trust for generations to come. CEE Real Estate group continue to set a new standard for balanced and sustainable living. The land is located in the cadastral area of Klokočov, in an attractive recreation area Zemplínska Šírava, about 50 meters from the water with a wide possibility of its use. Thermal Sirava Spa Resort is the most unique thermal springs in Slovakia. 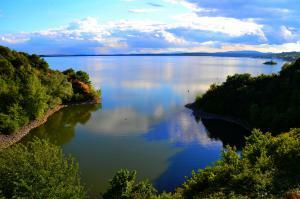 With healing benefits and extremely mineralized water in the heart of region Zemplin. The cleanest water in the stainless pools in the world- Exceptional chlorine free water Wellness as Traditional Lifestyle – assisted ceremonial programs in saunas. It calms the overstrained nervous system. Stress is released. The mineral water can relieve you from pain. It has an anti-inflammatory effect. The skin diseases are eased.